In 10-inch skillet, heat oil over medium-high heat. Cook chicken in oil 3 to 4 minutes, stirring occasionally, until no longer pink in center. Stir in vegetables, beans and salsa; reduce heat to medium. Cover and cook 6 to 8 minutes, stirring occasionally, until vegetables are crisp-tender. 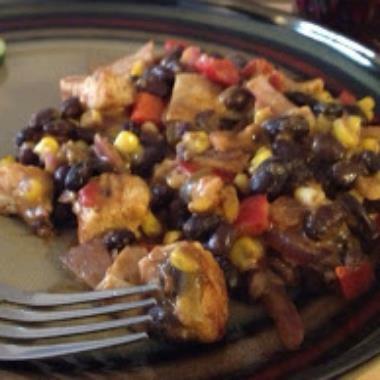 Posted on July 10, 2012 by Jessica Morales and tagged recipes dinner healthy.